5 perennial garden ideas to make your garden POP! 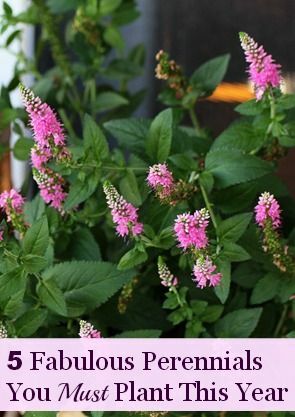 You HAVE to plant these in your garden this year! Mother Nature finally decided she was tired of wearing her winter boots, so she donned her cute strappy sandals and flipped the switch on spring this weekend. I got to get out and dig in the dirt a little, which always rejuvenates me. Warning, I’m a 6A myself (that could be my bra size too), so if you are silly enough to live in Hawaii rather than Ohio, these might not work for you. If you are unsure of your zone, you can go to the USDA Plant Hardiness Zone Map and type in your zip code and it will give you your zone. 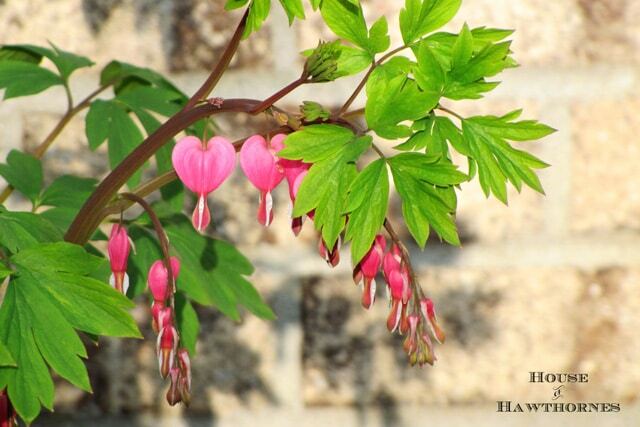 Bleeding Heart (Dicentra) – great for partial to fully shaded areas. Comes in pink, red, white and yellow and are hardy in zones 3-9. I love to see the little hearts come out when most of my other plants haven’t started blooming yet. They do not bloom all summer here though (might be different in your area). I have mine planted right beside a hosta, so by the time the hosta is getting full, this one is dying back. Sort of like a tag team of perennial planting. 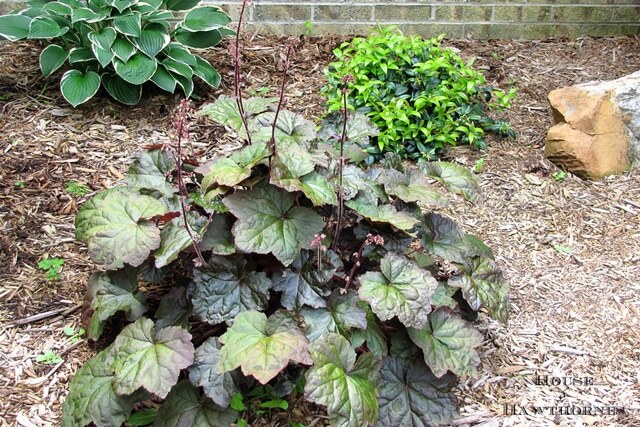 Coral Bells (Heuchera) – can take anything from sun to part shade and are hardy in zones 3-9, depending on the variety (this is where reading the tags comes in handy). I grow them mainly for the leaf coloring. This one’s leaves vary from green to puple-ish, but they come in pretty shades of gold and chocolate brown also. They do have flower spikes that come up, but they are pretty dainty. Most people are like me and grow them for the foliage, I believe. Hellebore (Helleborus) – zones 4-9. They are supposed to be part sun to shade loving, but I have my Hellebore in full sun for 80% of the daylight hours and it does just fine. It’s a low growing, mounding type perennial and the flowers are gorgeous and a little exotic looking. 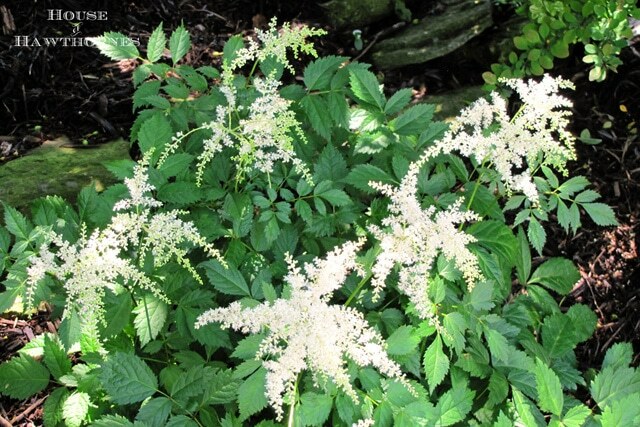 Astilbe – part sun to shade and are hardy in zones 4-8. I can’t say enough about these plants. Love them! They have the prettiest flower plumes in gorgeous shades of red, white, pink or purples. It is a light airy plant that looks great with ferns and hosta. 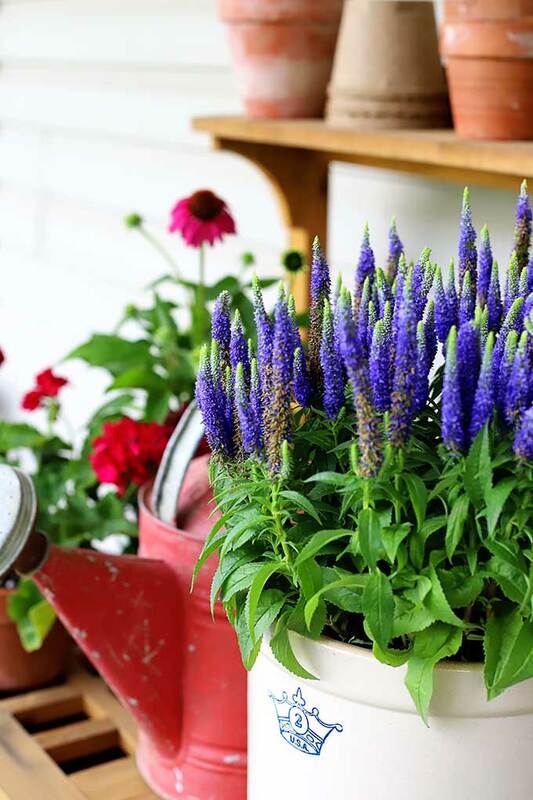 Speedwell (Veronica) – they like full sun and are hardy for zones 4-8. They are known for being low maintenance. I have some planted at the end of my driveway and I haven’t watered them in 5 years. OK, it rains on them occasionally, but I haven’t had to drag a hose out there. And best of all, bees and butterflies absolutely love Speedwell! 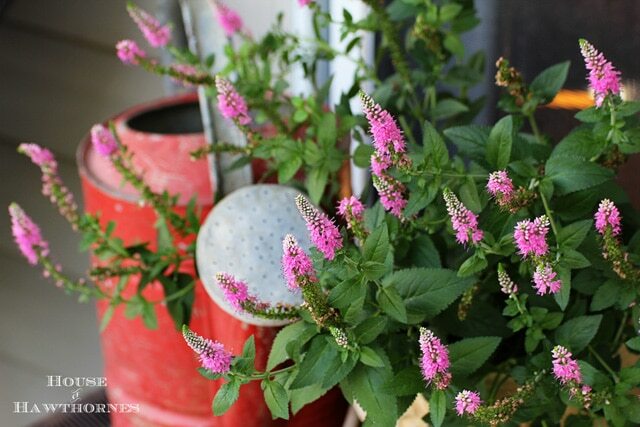 Do you have any perennials that you just can not live without? Previous Post: « Can Something Be Too Kitschy? LOVE the speedwell. My landscaping leaves a lot to be desired, though. My favourite garden is my woodland garden. I collect hosta and add other variety of shade plants in with them for contrast. Especially the many colours of heuchera! And can’t live without astilbe, ferns, hellebore, dicentra, hydrangea, and goatsbeard. Our gardening style is very similar! Pam – Thanks for the ideas. I love that Astilbe and have quite a few Hostas but would like some color. I might try that. I too like the Hostas. Have not heard of the others. So pretty, Pam! 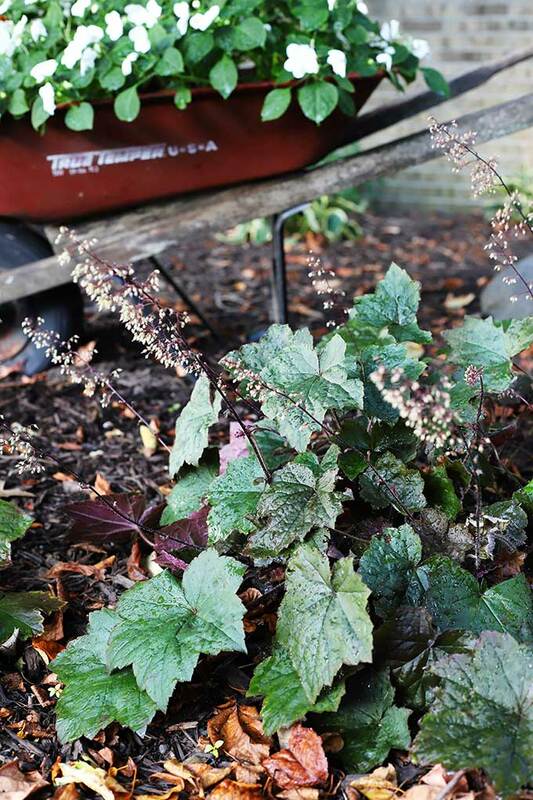 Astilbe and speedwell are some of my favorites here, too…I can’t wait until we have something growing in the garden. The snow is nearly gone but now they are talking about a couple of inches tomorrow…at least it can’t last long! I love astilbe and bleeding hearts too! I planted speedwell once and it spread everywhere so I ripped it out. I echo the last two sentences of Linda’s comment…we’re both in Minnesota. I once rehung a door to open the opposite direction in order to clear the hummingbird flight path to my coral bell plants. Years later it occurred to me I might have moved the plants, but I’m sure I would not have been so proud of myself. I love heucheras! I had lots of them in Oklahoma around our pond. You picked some good ones. Great information! I’m not very good in the garden so I appreciate all the wonderful info. I’ll check these out. You’re right, they are low maintenance plants, that’s why I have them!! 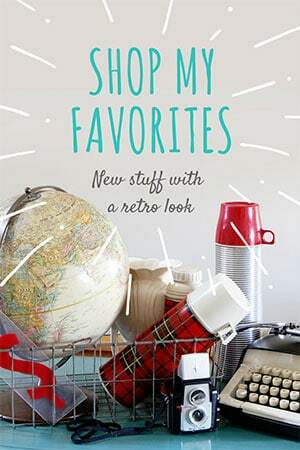 You’ve listed all of my favorites. I simply can’t wait for this weather to finally switch. Rumor has it snow is in the forecast later this week. Not in Zone 6 but still love to look at pretty flowers! You’re so fortunate; Mother Nature here has on rain boots and a woolen sweater yet. But I did get the opportunity to get out this weekend and rake the leaves off the flower beds to enjoy the crocus and greenery coming up. Good info! I have bleeding hearts and astilbe, but they’re not even up yet! I also have Hellebore, though a different variety. And the Speedwell is new to me. I’m going to look for that one! I am 6a too. I have coral bells in a couple colors and astilbes. My bleeding heart and veronica actually died last year when we had no snow. I cannot live with out salvia. Of these I only have some speedwell. The deer will gobble up hostas here like a kid will est mac and cheese. 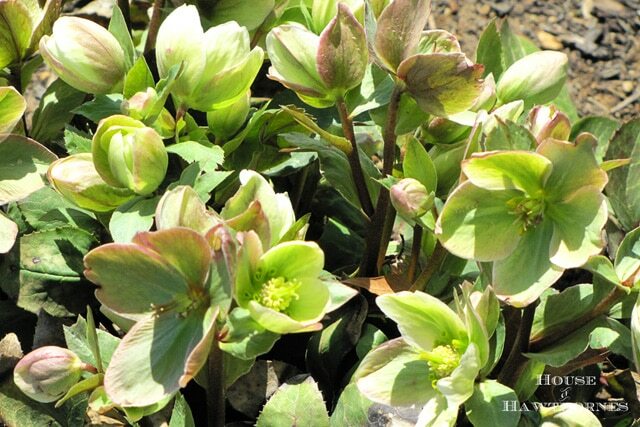 Our zone has recently changed from Zone 3 to Zone 4, so I need to plant me a Hellebore! I have luck with the same perennials as you, but throw in purple coneflowers, Black Eyed Susan’s, and Annabelle hydrangeas for good measure. Great roundup Pam! I love speedwell (have it in pale pink) and astilbe (I only have one plant but hope for more). Haven’t tried corabells but my mom is a big fan, and I adore bleeding heart but for some reason don’t have one. Mom used to have several when I was growing up. I’m thinking this year I may have to plant one for old time sake. Have to say that Agastache is one of my favorite perennials. 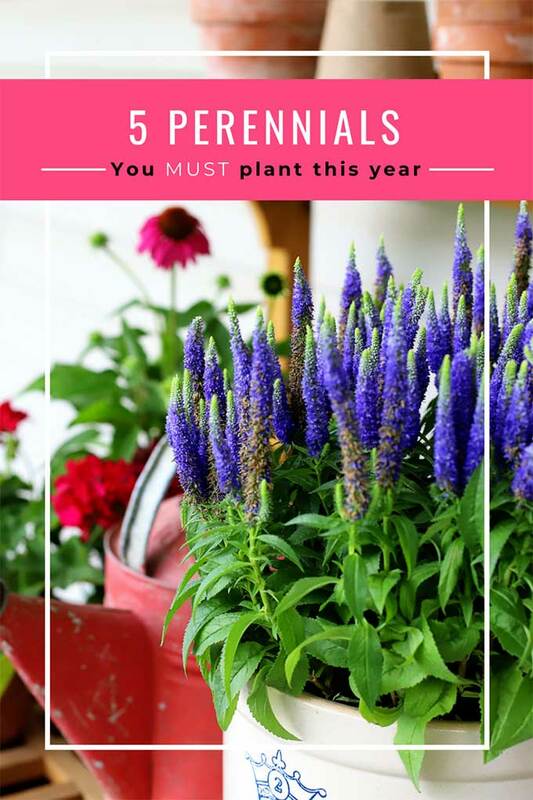 I planted three different varieties and am so please with them. They go strong through the hottest periods of summer and hummingbirds love them. They also go great with shasta daisies and bee balm. I prune them back a bit in late summer and let them die off for winter and cut way down in spring. LOVE THEM and your blog! The first flower that caught my attention as a little girl was a bleeding heart. I remember running through a yard, stumbling upon one and standing transfixed by it. It was like something the fairies left behind! This is such a great post, I’m dying for Spring to arrive. Speedwell will be on my list to buy for sure. Thanks! I’m late to the party, but I’ll add my favorites. Roses, peonies, irises and clematis are the mainstays in my garden, but besides those, I love, in no particular order, Lady’s Mantle, tall garden Phlox, perennial Baby’s Breath, Speedwell and lilies. All of these look fabulous with roses, in the ground and in the vase. I found a new-to-me annual this year that I will grow every year henceforth – Royal Queen purple violet Tubeflower. Tall, stately, blooms like crazy and beautiful in the rose garden. I agree with you about Black Eyed Susan Vine. So dependable! And, so cheery. Oh, that’s another good one!!! Great choice! 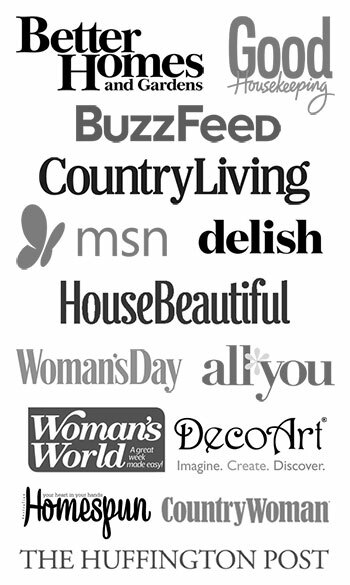 but you should rank your blog higher in search engines.